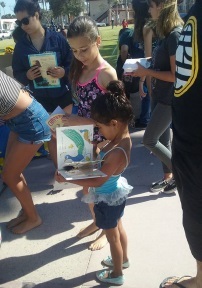 IB SB Kiwanis pass out Hundreds of Free Children's Books at IB Farmers Market last Friday! 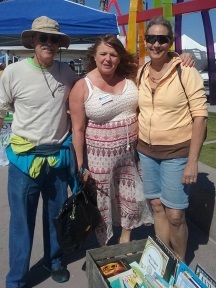 Last Friday at the Imperial Beach Farmers Market the Imperial Beach South Bay Kiwanis were giving out free books for kids donated by the San Diego Book Project for Kiwanis One Day Event! The next day they did the same at the swap meet at Coronado Avenue and Saturn Blvd. 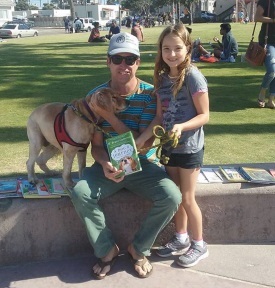 The Kiwanis also plan to make Children's Books available by putting up 3 "Little Free Libraries" in the Imperial Beach Community which includes the 92154 Zip Code. With the success of this event you can be assured the Kiwanis will be doing it again and will be always looking for ways to get books out to children for reading.